"We will mobilise within and outside our borders," he said in a tweet on Saturday, adding: "Our struggle continues to yield results!" "Children are going hungry, and nearly every hospital in Venezuela is experiencing serious medicine shortages." 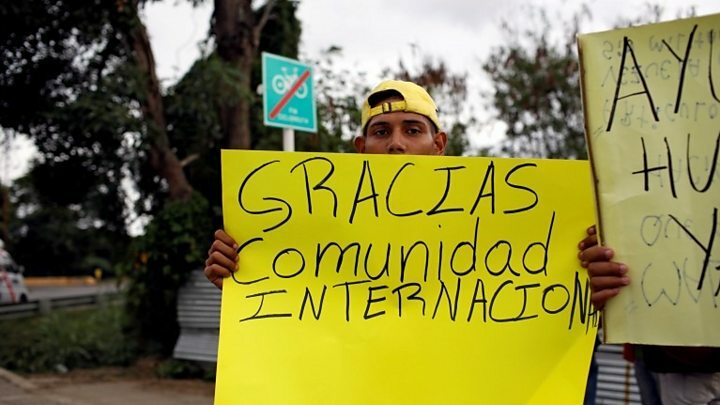 "Today we are standing on the frontlines of one of the largest displacements of people in the history of Latin America." 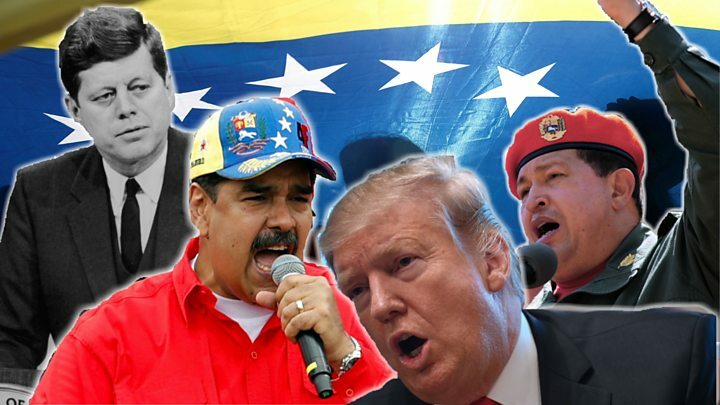 Mr Guaidó, who has been recognised by the US and most Western governments as interim president of Venezuela, said hundreds of thousands of volunteers had signed up to create brigades to help get the aid into the country. 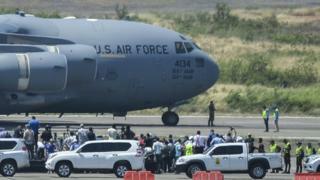 He repeated his call to the Venezuelan military to allow the aid to go through, but it is unclear if they will do so. "The message we have to get through to the armed forces is that they have one week to do the right thing." He has set 23 February as the date for the humanitarian aid to get moving. Officials in Cucuta said additional aid flights would be arriving in Colombia over the coming hours and days. A statement said medical supplies and pharmaceuticals meant for use in hospitals will arrive early next week.